Tennis - Australian Open - Women's Singles Final - Melbourne Park, Melbourne, Australia, January 26, 2019. 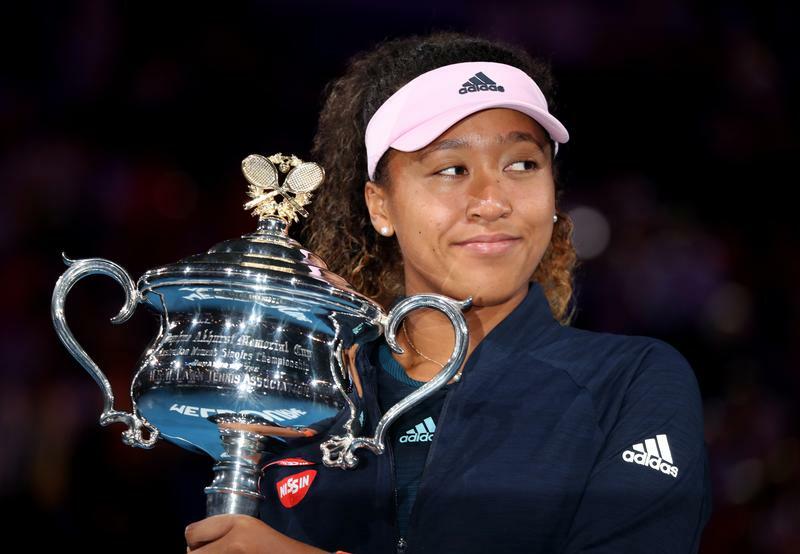 Japan's Naomi Osaka poses with the trophy after winning her match against Czech Republic's Petra Kvitova. Japan's household spending rose 0.1 percent and higher bonus payments lifted wages in December, official data released on February 8 showed. In January the labour ministry said the monthly wage data it has published for more than a decade had relied on faulty polling methods, calling into question whether the benefits of Japan's economic recovery have broadened as much as the government has claimed. The country enacted a law in 2018 to let in more foreign blue-collar workers, in a major policy shift. Overseas workers can stay for up to five years but unless they are skilled, they cannot bring family members. A Reuters poll published in August showed most local companies support easing immigration restrictions, favouring entry for skilled workers over unskilled. According to the poll, 57 percent of large and mid-sized Japanese firms employ foreigners. Japan’s natural population declined by an estimated 448,000 in 2018, according to data from the Ministry of Health, Labour and Welfare. The number of babies born in Japan hit the lowest level since data became available in 1899.